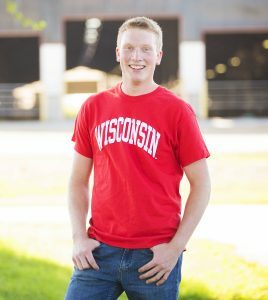 I decided to attend UW-Madison because of the industry leading professors, state of the art research facilities, and its location in the heart of the dairy industry. UW-Madison has allowed me to reach new heights and has pushed me outside of my comfort zone toward success. My most memorable college experience so far has been attending The Royal Agricultural Winter Fair with the Badger Dairy Club. This trip allowed me to attend one of the best dairy shows in the country and visit different farms where I was able to talk with farmers about dairy, crops, and management practices. It was truly an unforgettable experience filled with lifelong memories and friendships. My favorite course thus far at UW-Madison was “DS 375 Reproductive Management of Dairy Cattle”. With a small class size of 14 students and world renowned reproductive specialist and professor, Milo Wiltbank, we learned and practiced Artificial Insemination Programs, Ultrasounding, and Superovulation/Embryo Transfer. This hands on course helped me understand progressive reproductive management practices that I can bring home to my family dairy. My future career goals upon graduation are to obtain a job with a progressive AI company specializing in dairy cattle genetics and reproduction with hopes to eventually return to my family dairy. I chose to attend UW-Madison because of the endless amount of opportunities it has to offer, not only in the classroom, but outside of it. The clubs and organizations I have become involved in provide leadership experiences and the chance to make connections within the agriculture industry. I most memorable college experience so far was being able to work behind the scenes at World Dairy Expo. My favorite course was Dairy Science 100 because of the variety of animals you get to work with and learn about. I hope to attend vet school to become a large animal veterinarian. When looking for a university that would prepare me for a career in the dairy industry, it was very hard to look to further than Madison being that it is one of the top dairy and agricultural universities in the Nation. Better yet, at Madison you can get a top-notch education while enjoying all the benefits of a Big Ten University and one of the best college towns in America. My most memorable college experience has to be football game days. Coming to football games before I attended this university was a big part of why I had always wanted to come here, and that experience is only better now that I am a student. Dy Sci 233/234-Dairy Herd Management I & II have been my favorite classes because the entire courses were extremely applicable. It enjoyed the chance to learn from a multitude of industry professionals who teach about their respective part of the dairy industry. My career goals are nowhere near set in stone yet, but ideally I want to work with dairy genetics, so hopefully somewhere in the artificial insemination industry. 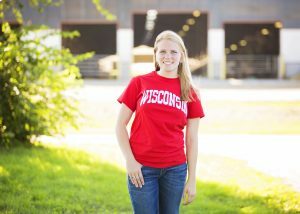 I chose to follow in my dad’s footsteps to UW-Madison because I knew there was no place better to pursue a degree in dairy science than in the heart of America’s Dairyland. UW-Madison is home to some of the most elite professors in their field, which provides and education opportunity unlike anything else. I also really liked the combination of having a personalized education with small dairy science classes while still attending a Big Ten School full of spirit on Badger game days. Choosing just one experience to define my first two years here on campus is almost impossible. 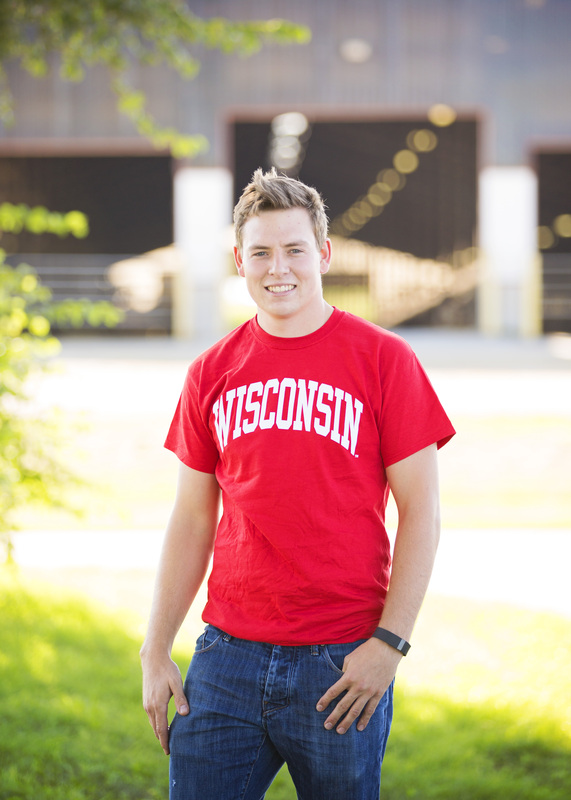 I have enjoyed every aspect of the college experience that UW-Madison and the College of Agricultural and Life Sciences has to offer. Some of the highlights, however, include watching Melvin Gordon break the NCAA rushing record as the snow fell in Camp Randall, standing on the colored shavings as the world’s best registered cattle paraded past at World Dairy Expo, and winning the Accelerated Genetics Intercollegiate Dairy Judging contest during my sophomore year. Dairy Herd Management I and II easily top the list for my favorite course(s) at UW-Madison thus far. This two-part class incorporates multiple professors from not only the dairy science faculty, but also animal science and biological systems engineering to help develop a well-rounded curriculum focused on all aspects of managing dairy cattle. I enjoyed learning from some of the most innovative professionals in their fields, as well as working in small groups with my classmates. This time allowed for collaboration among students with various cattle backgrounds, creating an optimum environment to share and build on each other’s ideas. 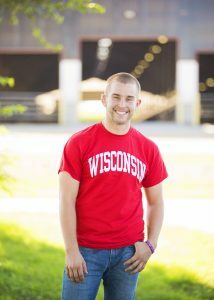 After college, I intend to remain in Wisconsin and work within the dairy industry. My dream job would be in agriculture communications, promoting dairy to the public. I love to educate people, especially young children, about where their food comes from and why supporting family farms is important. I hope my career will have a positive impact on the children I reach out to, and that later in life they will become supporters themselves of the dairy industry. 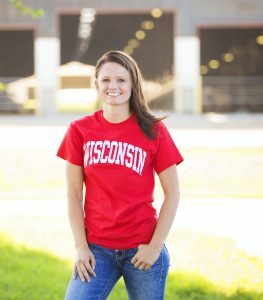 I chose to attend UW-Madison because I love Wisconsin and have always wanted to be a Badger, but the reason I love it now is because of the dairy science program I get to be involved in. My most memorable experience would probably be the Purina Nutrition Experience, I met a lot of people that were enthusiastic about dairy nutrition and that helped to guide me to where I am and where I’m headed. My favorite course would have to be Comparative Animal Nutrition 311 with Dr. Heather White and Dr. Thomas Crenshaw. My future goals are to continue my education in graduate school, and then work in the industry as a nutrition consultant.